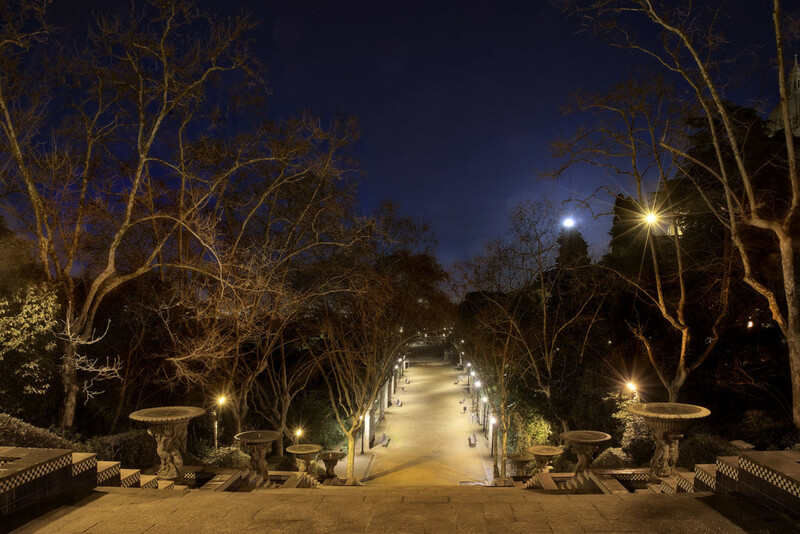 I shot his photo near the Placa de Les Cascades on a nightly walk in January. 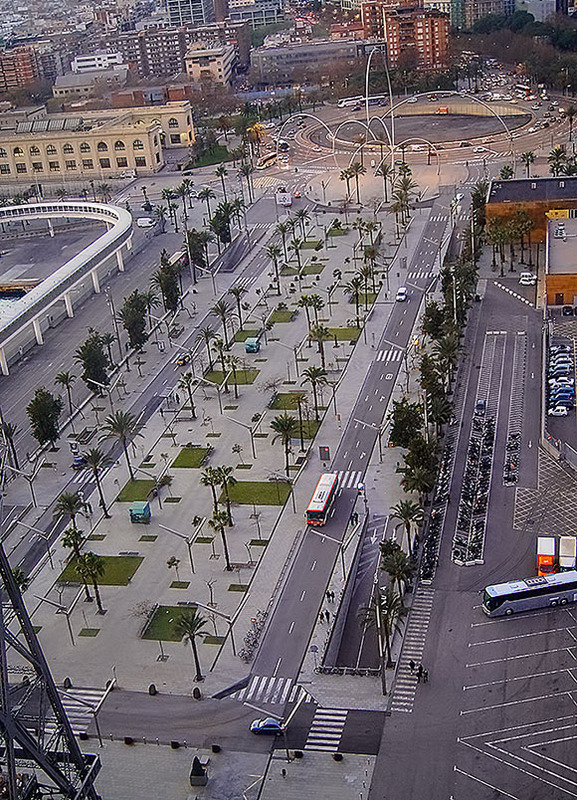 I visited Barcelona to attend the Cisco Live event. The weather was excellent, a light jacket or a sports coat was enough for the evening temperatures. I had my camera mounted with the mini-tripod, so I was ready for night shooting with different compositions. It was my second time in Park Güell. The observation area in the middle of the park was only accessible on the sideways; the rest was under construction. I had to be careful with my photos to avoid site blankets on the pictures. 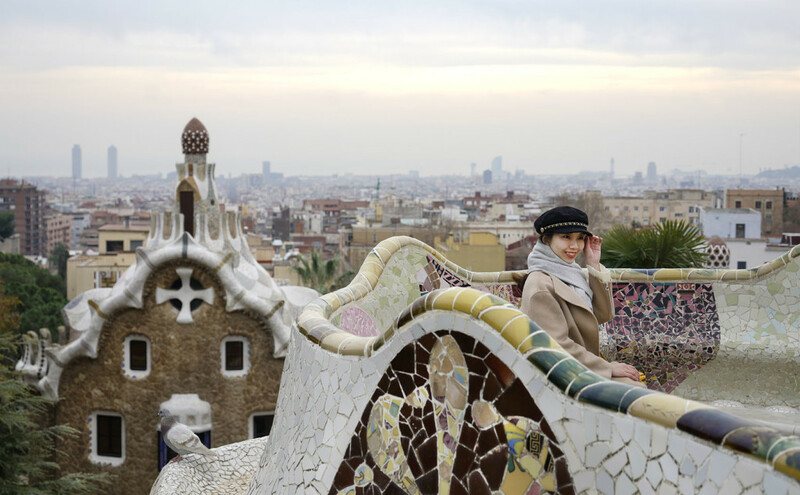 It happened that I could capture that scene with this Japanese girl sitting on a tile-work bench with the typical Park Güell-buildings, and a dove, in the background. Great design work by Antoni Gaudi. Filming the impressive church Sagrada Familia – this was the plan. I placed my YI 4K Action cam on an appropriate bezel which I stuck on a Zhiyun gimbal. I started on the west entrance, walked through into the big hall and went a whole round. Although many tourists were inside, I got a good impression of this one-of-a-kind building. Inside was heavy construction work, the structure of this great church continues and will last until 2026. 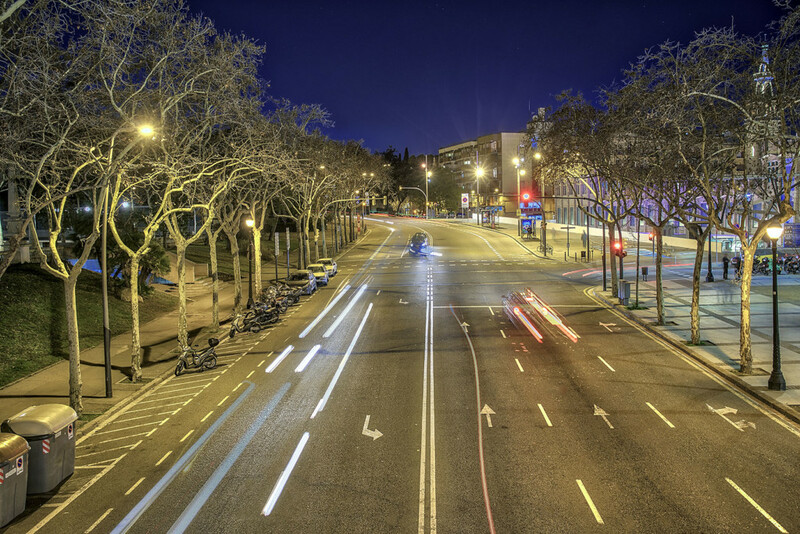 I placed my mini-tripod on the ceiling of that pedestrian bridge and took some shots of the night in Barcelona. I like the different light sources mixed in the street and cars and trees. Although it was January, it was a mild climate, where nothing could stop me from my extended photo tour which brought me from Park Güell to Placa de Les Cascades, which was the location for that picture. 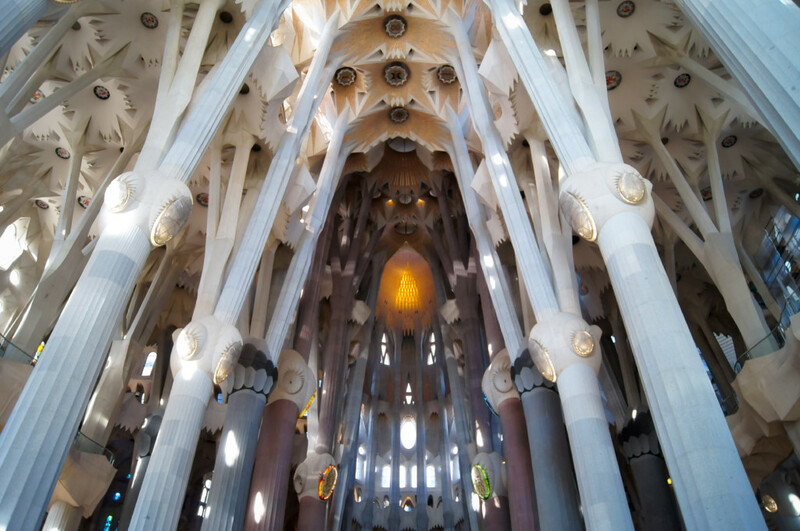 This is the church for the centuries, a stunning architectural marvel, Gaudi’s masterpiece. The start of construction was 1882 and it is not finished yet, the building activity is ongoing, the anticipated completion date is 2026. Sagrada Familia is one of the most impressive buildings I have ever seen. 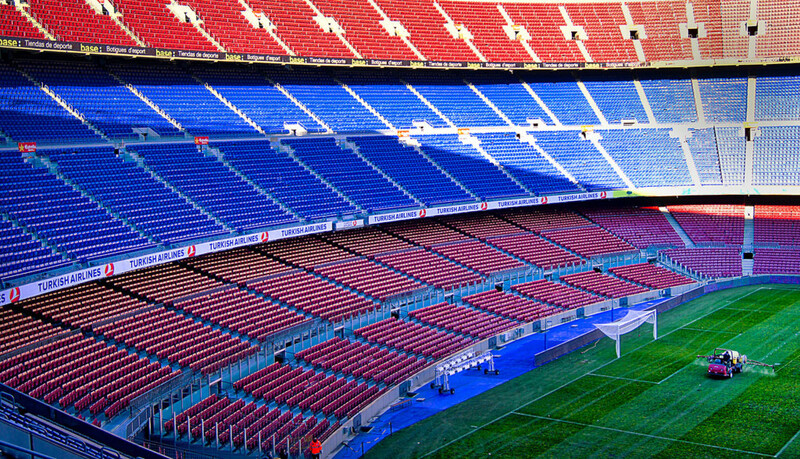 Camp Nou is one of the world’s most famous stadions, it’s the home of the great FC Barcelona. Built in 1957 it hasn’t lost its fascination. If you are walking through the empty terraces and staircases, in the back of your head you can imagine the excitement if those ranks would be full of people. 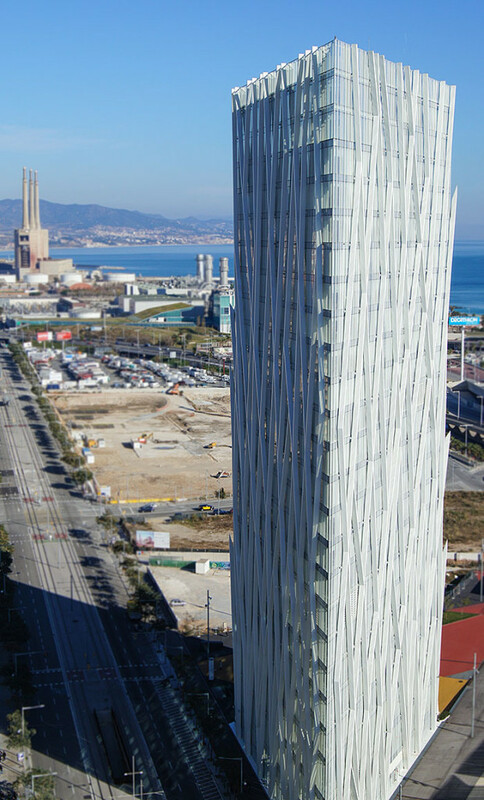 Barcelona combines spectacular modern architecture, impressive historical architecture and the famous Gaudi buildings. Beside of this, when walking around you get snapshot after snapshot, mostly no time to put the camera aside. Die Hafen-Seilbahn bietet atemberaubende Ausblicke in alle Himmelsrichtungen. Die Fahrt sollte man einplanen, vor allem in der Abenddämmerung. Die Seilbahnstütze war einmal die höchste der Welt. Die Struktur dieses Gebäudes strahlt eine gewisse Leichtigkeit aus. Natürlich ist hier alles aus Beton und Stahl, dennoch erinnern die Fassadenteile an die japanische Papierfalt-Kunst Origami. 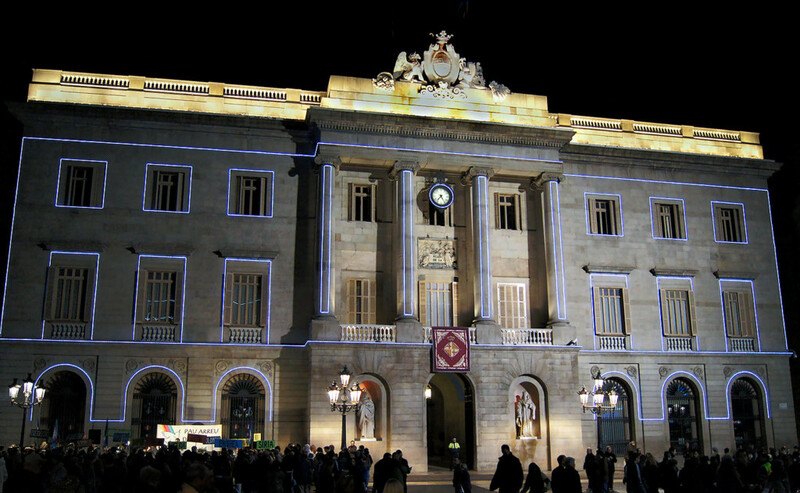 Barcelona – die Fundgrube an eindrucksvoller Architektur.